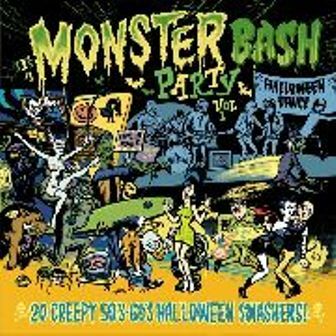 various - MONSTER BASH PARTY VOL.1 LP, available now! 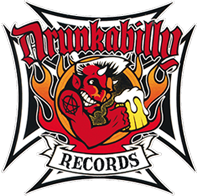 This Vinyl Only LP will be a mix of cool scary R&R, Surf/Hotrod, Garage, Psych and other weirdness! COOL cover art by Canadian comic artist Darren Merinuk and also a LARGE poster inside done by the same madman!! Back is full colour with pictures of bands and labels. To make this release perfect it's pressed on groovy ghoulie red/green vinyl! + poster included !! 10. The Transplant ; With Her Head Tucked Underneath Her Arm.